Ben Ali, who has been in Saudi Arabia since he was forced from office, was found guilty after just one day of deliberation of theft, illegally possessing jewellery and large sums of cash. 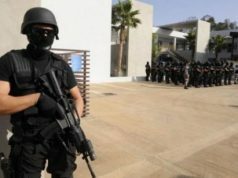 The same sentence was handed down to his wife Leila Trabelsi, a former hairdresser whose lavish lifestyle and clique of wealthy relatives was for many Tunisians a symbol of the corruption of Ben Ali’s time in office. Ben Ali flew to Saudi Arabia on Jan. 14 after mass protests against his 23-year rule. While he was in office, members of his extended family built stakes in the country’s biggest businesses and accumulated vast fortunes. 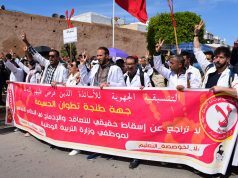 Tunisia’s revolt electrified millions across the Arab world who suffer similarly from high unemployment, rising prices and repressive governments. Ben Ali’s has been watched closely in Egypt, where former president Hosni Mubarak is due to stand trial over the killing of protesters. In a statement issued by his lawyers earlier on Monday, Ben Ali denied all the charges against him, saying that he was the victim of a political plot. He said he had been tricked into leaving the country. 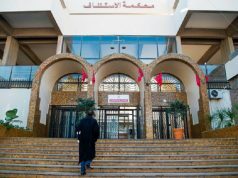 The judge, who read out the verdict and sentence in the Palace of Justice in the Tunisian capital, also ruled Ben Ali and his wife would have to pay fines totaling 91 million Tunisian dinars ($65.6 million). The judge said the verdict on other charges, relating to illegal possession of drugs and weapons, would be pronounced on June 30, according to a Reuters reporter who was in the courtroom.